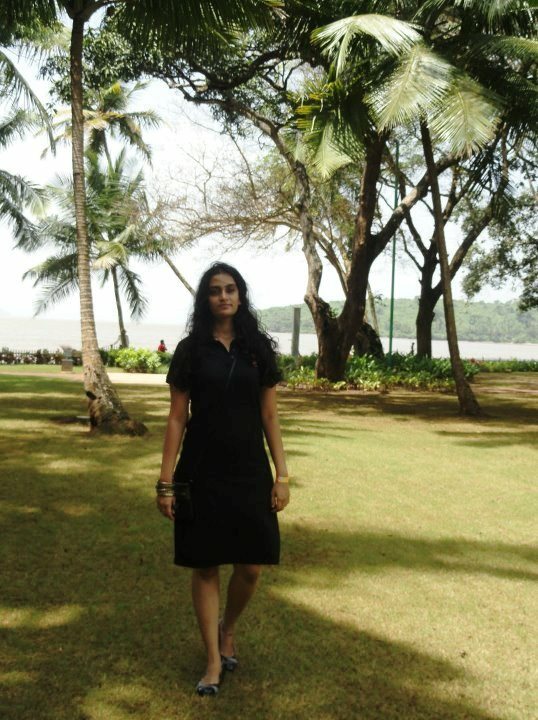 Meet Anusha Subramanian – Impact Volunteer from Mumbai sharing her experiences on volunteering !!! I am an interior design professional with a graduate degree in designing from Raffles Design International. Currently working with a reputed architectural firm in Mumbai. I love to indulge in DIY(do it yourself) projects on weekends and experiment with materials readily available at home or around. I ensure that I take some time out to explore and try out new avenues in different fields of designing. What motivated you to volunteer ? I am the only child. My dad has his own business in printing and my mom has been pursuing social service since a decade now. Both my parents are extremely sensitive to the needs of the people less privileged than we are, and I am glad that I took that up from them. I have just started out my career and I cannot afford to help monetarily. The least I can do right now is take out some time and sincere efforts in giving back to the society in whichever way possible. Describe your volunteering project ? The volunteering project that I was offered was to design a logo for Sanjeevani Hospital Foundation which was undertaking variousinitiatives to help child and women healthcare and education. What were the challenges you faced during your volunteering engagement ? The project required minute client requirement analysis and preferably one to one discussion, which unfortunately was not possible due to work commitments and busy work schedules. Thereafter all communication with the NGO was restricted to phone calls and mails. However the creation of the logo was dealt with satisfactorily by working late quite a few nights, so that the deadline could be met. Meeting the deadline was very important as the other jobs were dependent on completion of the logo. Another major challenge I faced was while taking up the project. I was dissuaded from taking up the same as I have just begun my career and many feel social service and volunteering is done only when a person is settled in life. Without paying heed to any of these, I listened to my conscience and once the project was completed the happiness and satisfaction I achieved was unmatched. Any reflections on your volunteering experience ? It was the 1st time that I got an opportunity to explore graphic designing and the response that I got from the organization was worth all the efforts and time. It was a wonderful experience being associated with experienced and well read doctors who never seize to continually commit selfless service to the society. If they can do it, why can’t we? I am extremely grateful to iVolunteer for giving me this opportunity to explore and expand my skills. So people,WAKE UP AND GIVE BACK TO THE SOCIETY!! Previous Post Vikram Buddhiraja- Full time Corporate professional+ Part time Blogger + Weekend Volunteer creating Impact!! Great work Anusha. Keep the good work going. All the best. Very nice logo. I truly appreciate you interest in having such charitable ideas at your age. God bless you. Yes we should give back to society in whatever little way we can. Your blog is simply wonderful.